Veterans Day celebrates all those who served in the armed forces on November 11 each year. This exhibit features individuals serving in the US Navy, Army, Marine Corps, and medical services from World War I to the Vietnam War. Their accounts describe not the combat bravery glorified in our society, but daily life during wartime: the monotony of watch duty, letters to loved ones seeking a connection to life at home, and photographs of people met and places visited. Life in the military is best described as “hurry up and wait.” What you wait for can be a myriad of things: orders to deploy, action to happen, casualties to flood the hospitals, service discharge paperwork, letters from home... 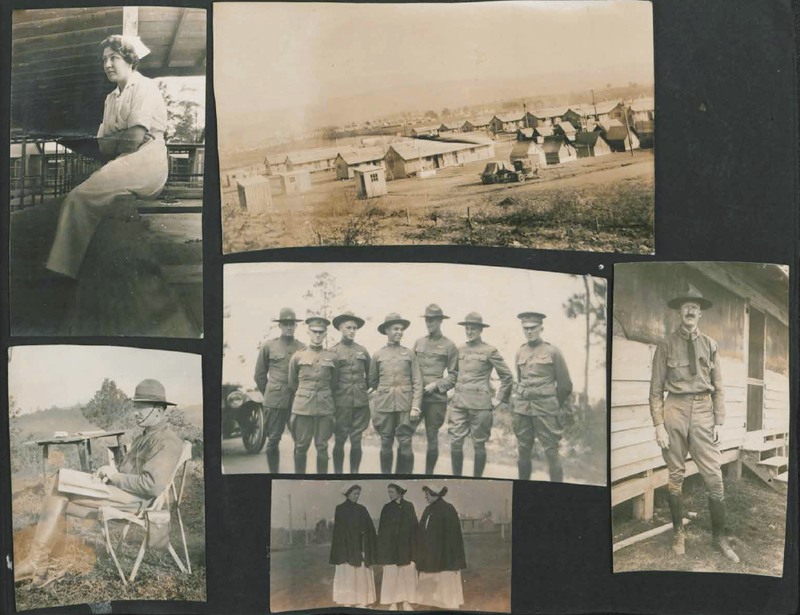 These are just a small glimpse into the stories of men and women in the armed forces that can be found in Special Collections. William & Mary Libraries thanks you for your service to our country. Wondering why post-Vietnam veterans are not represented? Special Collections lacks materials following the Vietnam War. Recent veterans interested in donating materials related to their service can contact Special Collections at spcoll@wm.edu or 757-221-1775. Photos of the exhibit are available at W&M Libraries on Flickr.